Paul Jones has a quick post covering the use of his Atlas.Orm package in a Symfony application, showing how to easily integrate the two. Are you using Symfony 4? Do you want to use Atlas with it? We now have a Symfony bundle and Flex recipe that makes installation and integration a breeze. Two commands and one .env file edit, and you’re ready to go. He includes the commands you'll need to get it installed and generate the skeleton mapper files from your database. Symfony then automatically injects the Atlas instance from the container (code example included). He ends the post linking to other resources about defining relationships, managing transactions and handling events with the Atlas.Orm package. How to properly manage translations in Symfony? The JoliCode site has posted a tutorial for the Symfony users out there sharing their method for properly managing translations when using the framework. We already wrote about our Symfony translation workflow some years ago. But since 2015, lots of things have evolved and it was time to update this workflow. The aim stays the same, keeping app translation simple and fluent for all stakeholders of the project. To achieve this, we had chosen an external tool: Loco, which centralizes translation data, and a piece of code written to synchronize it with Symfony translation files. The article talks about the two main methods (bundles) used in the Symfony ecosystem to manage translations but they couldn't connect them with their chosen tool (Loco). The tutorial then shows how they moved to using the php-translation bundle and how to use the Loco UI to manage the keys connected to it. It also covers the use in testing, migrating to production and what's currently missing from Loco they'd like to see. On the Symfony Finland site, there's a post that looks at the current state of GraphQL PHP libraries in 2017 and how they are integrated with applications using the Symfony framework. GraphQL has continued to gain momentum over the course of 2017. While it's certainly not a replacement for REST in all cases, it does provide consumers of Content APIs, etc. better ergonomics than general purpose RESTful interfaces. For PHP there are currently two popular libraries, both of which have Symfony integration Bundles. On the SitePoint PHP blog they've posted a tutorial from author Tobias Nyholm introducing the Neo4j bundle for Symfony-based application. This bundle provides functionality to work with Neo4j graph databases natively in the application. There is no such thing as disconnected information, no matter where you look – people, events, places, things, documents, applications and the information about them is all heavily connected. As the volume of data grows, so does the number and dynamicity of its connections. And if you’ve tried in the past to store and query that highly connected, semi-structured data in any database, you probably experienced a lot of challenges. The tutorial talks some about graph databases, how they work and what kind of data fits into them best. It also briefly covers the Cypher Query Language followed by an introduction to the bundle and what it has to offer. Code examples of putting the bundle to use for queries are provided including the models to handle the results, relationships and an example application you can use to start with a working example. Fabien Potencier has continued his post series covering the next major release of the Symfony framework, Symfony 4. 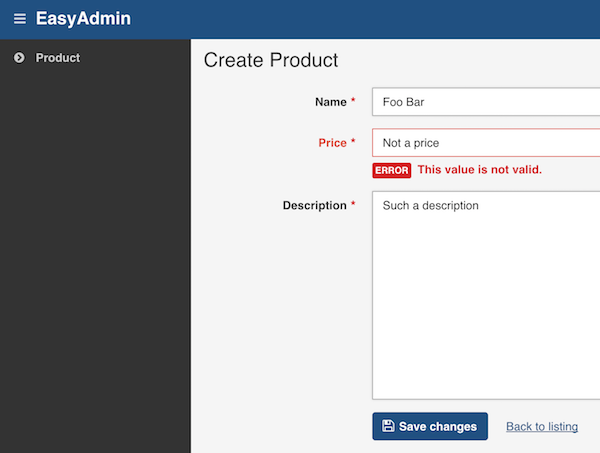 In this latest post he walks you through a quick demonstration of the creation of a new Symfony 4 application including a simple administration system. With the basic application set up he then shows how to install the EasyAdminBundle to create the simple administrative interface. He's also created a screencast showing this same process so you can see it all in action. Fabien Potencier (creator of the Symfony framework) has a new post on his site continuing his look at Symfony 4. In this latest article he looks at some of the best practices to use in the next major release of the framework based on some of the architectural changes coming down the line. Each item includes a description of some of the changes coming and what behaviors you'll need to modify to make life smoother in the Symfony 4 transition. Fabien Potencier is back with a new post on his site following up this article about application composition and Symfony 4. In his latest post he compares two approaches to applications: micro versus macro. Monolith projects versus micro-applications; a never-ending debate. Both ways to develop applications are fine in my book. Symfony supports both. Even if the Symfony Standard Edition is probably more suitable for monolith projects as it depends on the symfony/symfony package. [...] Silex took another approach where each individual components are required when needed. Does it make Silex simpler, more lightweight, or faster than Symfony? No. Nevertheless, Symfony 4 is going to be more similar to Silex in this regard. He talks about changes upcoming in Symfony 4 including the move away from the "symfony/symfony" package system and in with a component/bundle driven system. He gets into a specific example around the "symfony-framework" bundle. He then comes back around to the idea of "composition" of applications, adding Symfony dependencies only when needed but still having them work together seamlessly. The post ends with a discussion that was had about going the "bundle-less application" route and, while Symfony 4 will recommend it, the bundle system will still function as expected.